at our Log Cabins Contact Us page"
We'd love to get your feedback on this website and also hear about your own Log Cabin experiences. 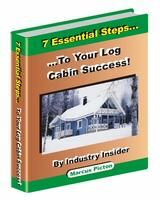 I am passionate about Log Cabins, that is why I took so much time to create this website! If you have discovered something you think would be a good addition to this site, then please feel free to make any suggestions at the bottom of this "Log Cabins contact us" page. We would appreciate your opinions on our site and it is always great to hear from people who found it useful. We also take onboard any constructive criticism and endeavour to improve our site wherever possible. Your views are of great value to us and we will never share any information with third parties. Your contact details and views will never be shared, rented or sold to anyone else. Any details are purely for our own use and you can be assured that your personal details are safe with us. Please make sure that your e-mail address is correct before sending it to us. We have no way of replying if it isn't, so please double check it carefully. We update this site regularly and if you want to find out about new pages or other information about Log Cabins as it is released, then please make sure you subscribe to our Log Cabins Revealed Blog.